Designed with tropical flowers from Costa Rica, Singapore and far off lands you have only dreamed of visiting! 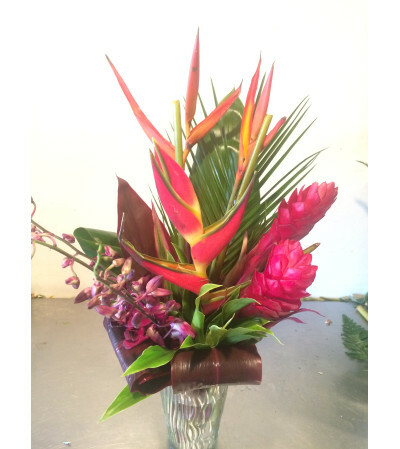 Bring the lush tropical environment into your home TODAY!! Standard id shown, Deluxe and Premium will bring you more tropical selections added to this arrangement!